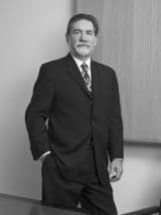 Mr. Erbstein has been successfully representing plaintiffs in personal injury cases since 1970. For 35 years, he practiced with the firm of Beasley, Casey & Erbstein. In early 2006, the lawyers of Young Ricchiuti Caldwell & Heller leapt at the chance to welcome Mr. Erbstein to their firm. Mr. Erbstein, who concentrates his practice in medical malpractice, motor vehicle, aviation, products liability, employment discrimination, premises liability, and insurance bad faith litigation, has tried many cases to notable verdicts. He obtained his first million dollar verdict in 1982, in a libel case between two competing dental technology schools. He has consistently won verdicts and settlements in excess of a million dollars ever since. He has received numerous seven-figure verdicts in medical malpractice cases, including a rare verdict awarding punitive damages. His product liability and insurance bad faith verdicts have earned attention in the national press and legal publications, including a seven-figure product liability verdict that became the centerpiece of a national debate over claims for injuries caused by unsafe products. His groundbreaking recovery, in excess of $8 million dollars, against an insurance company, based on the insurance company’s failure to pay its policy limits in a timely fashion, is one of the largest such verdicts in Pennsylvania. One of Mr. Erbstein’s cases sets the gold standard for tenacity on behalf of a client. After litigating the case for 5 years, Mr. Erbstein received a multimillion dollar verdict on behalf of a victim of medical malpractice, in 1991. After a series of appeals through the Pennsylvania Appellate courts, the verdict was affirmed in 1996. Various legal issues required additional trips through the appellate courts, and as it now approaches its 20th year it is once again before the Pennsylvania Supreme Court–this time to determine how much additional interest is to be added to the amount of the verdict. Mr. Erbstein has also made his mark in Pennsylvania jurisprudence, establishing a women’s constitutional right to recover for the loss of her husband’s consortium in the landmark case of Hopkins v. Blanco, 224 Pa. Super. 116, 302 A.2d 855 (1973). Most recently, the Superior Court affirmed a jury verdict worth more than $6 million dollars in a case against the Hospital of The University of Pennsylvania. Mr. Erbstein has a distinguished record of service to his profession, having served as a Judge pro tem for the Philadelphia County Court of Common Pleas, sitting as a judge in jury trials, and a hearing committee chairman for the Disciplinary Board of the Supreme Court of Pennsylvania. He is admitted to practice before the United States Supreme Court, the United States Courts of Appeals for the First Circuit and the Third Circuit, and all state and federal courts in Pennsylvania. Mr. Erbstein has been recognized by his peers as a Pennsylvania Super Lawyer and is listed in Who’s Who in American Law. For over twenty years, Martindale-Hubbell has given Mr. Erbstein its highest rating. He has been elected to the American Board of Trial Advocates as an Advocate; a distinction afforded only to lawyers with extensive experience in the courtroom, and is a member of the Million Dollar Advocates’ Forum. He is a member of the Philadelphia Trial Lawyers Association and has served on its Board of Directors, and is a member of the Association of Trial Lawyers of America, the Pennsylvania Trial Lawyers Association, and the Philadelphia Bar Association. Mr. Erbstein received his law degree from Temple University, where he was a member of the Law Review, and was elected to the editorial board of the Temple Law Quarterly.